Start taking classes at Zone Fit NOLA and other studios! Zone Fit NOLA specializes in small group fitness classes utilizing a variety of equipment including the TRX Suspension Trainer. With the ever versatile TRX they are able to focus on human foundational movements, while building strength, endurance, balance and flexibility. We also mix in the rower, treadmill, echo bike, and skierg for more cardio. Wear comfortable clothing and athletic shoes. We have a full bathroom and shower if you need to come before work or before a night out. We provide small towels and water. See you soon!! 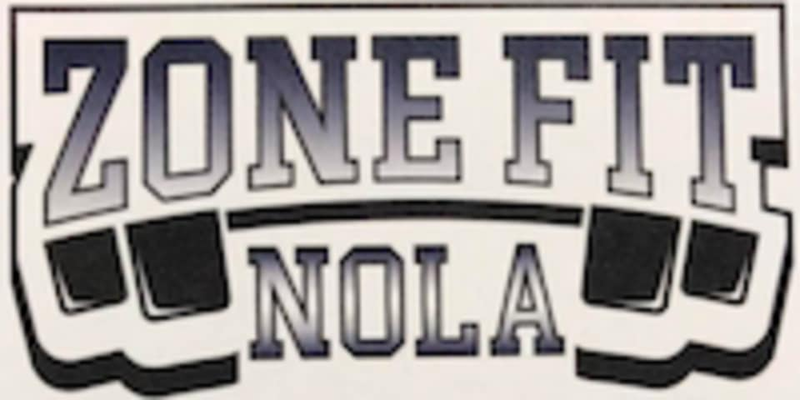 Zone Fit NOLA is located at 5590 Canal Boulevard New Orleans, LA. After this class I feel sweaty, successful and strong. Thanks J! Love love love this class! Madeline is an exceptional instructor who considers each individual in class and provides a peaceful, invigorating, and delightfully challenging workout. Instructor was so helpful - this was my first time doing TRX and I got a ton of support! OH MY GOODNESS today’s class was very challenging and required lots of stamina, but I did it and it felt great! Made me feel very good the rest of my Friday! Thank you for the feedback! This past Friday Freestyle was a tough one, but everyone crushed it!! Clean, welcoming, professional, accommodating, patient, motivating, and results!!! Love Zone Fit! Another excellent workout. Great blend of TRX, strength and light cardio. Boot Camp - MetCon with J. The instructor was very attentive to each person and focused on making sure you had good form and were getting the most out of your workout. It was great. Will definitely be back.